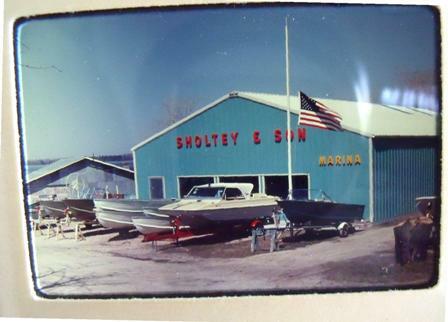 1959~1970's Sholtey's Water Spot. 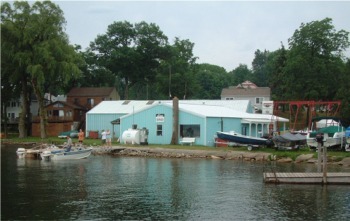 Marlin and David Sholtey were the owners from 1959 until the 70's. 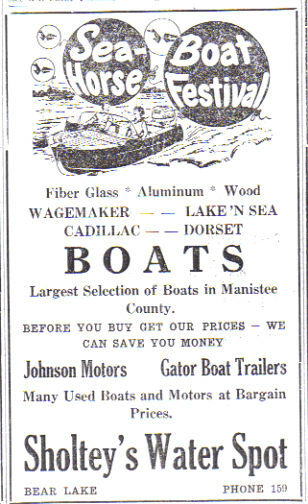 The Sea-Horse Boat Festival ad pictured was in the Pioneer Press on May 6, 1960. 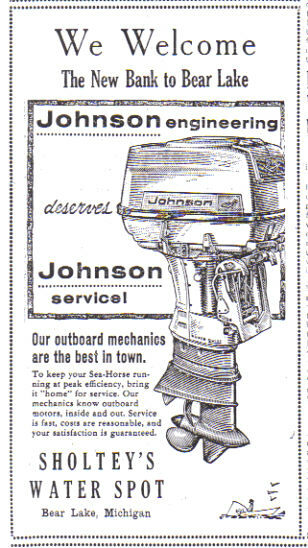 The Johnson engine ad pictured was in the Pioneer Press on August 26, 1960. 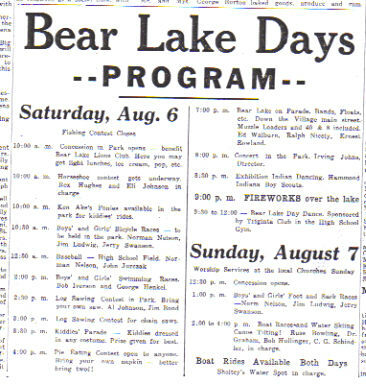 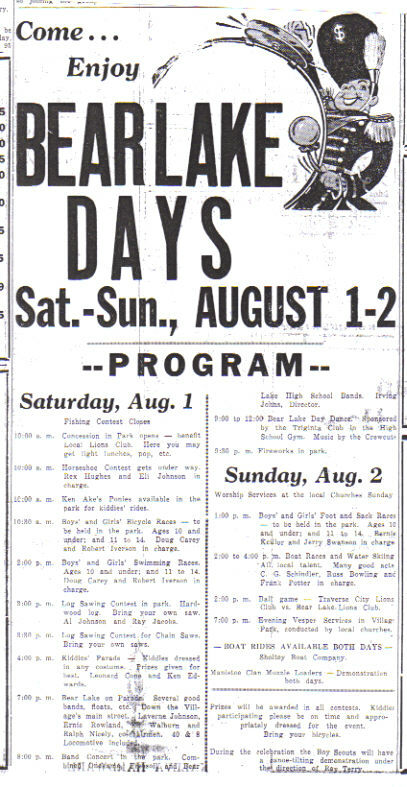 The Bear Lake Days Program was in the Pioneer Press on August 2, 1960, and features Sholtey's Water Spot charge of Boat Rides 'both days'.